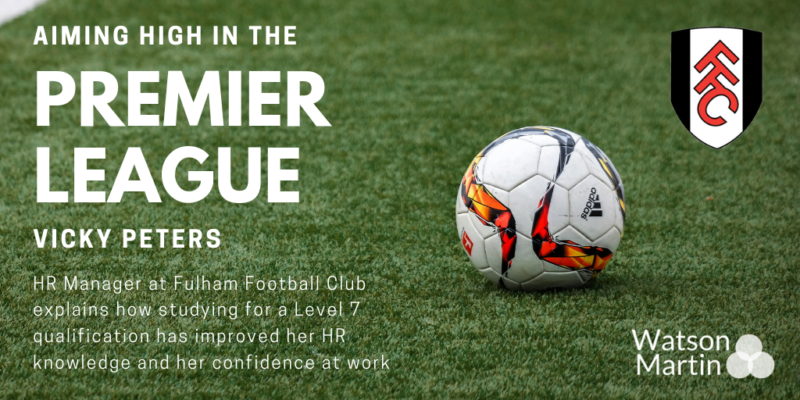 Vicky joined Fulham 16 years ago as an HR Assistant and after gaining experience was promoted to a management role. She decided to study for her CIPD Advanced Diploma but put it on hold when she started a family. She returned to studying two years ago and has just completed the Masters level qualification with Watson Martin, a huge achievement having left school with only GCSEs! Black Friday Sale	CIPD Sale 2019: Learn more. Spend less.